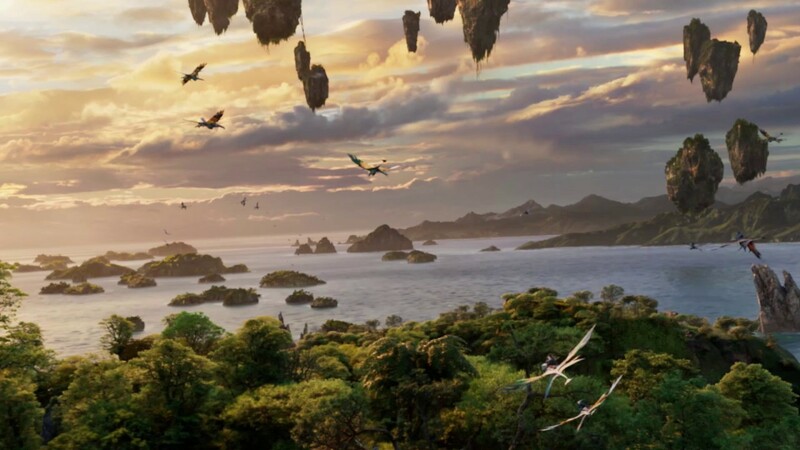 Jun 27, 2018 in "Avatar Flight of Passage"
VFXV, the magazine of the Visual Effects Society, has published an in-depth look at the creation of Avatar Flight of Passage, the headliner attraction at Pandora - The World of Avatar. Flight of Passage, which won the 2018 VES Award for Outstanding Visual Effects in a Special Venue Project, continues to be one of Walt Disney's World most popular attractions since its May 2017 opening at Disney's Animal Kingdom. It features cutting-edge 3D digital imagery delivered at 10k resolution and 60fps that pushes the boundaries of realism from a projected experience. The article by Chris McGowan talks to Imagineering's Joe Rohde, and other key team members from Lightstorm Entertainment and Weta Digital. Head to VFXV to read the full article.